Pre-fabrication: a cooperative training system between industry and universities. A new centre based at the University of Melbourne will help unlock the potential growth of Australia’s prefabricated building industry by creating a cooperative training system between industry and universities. The Australian Research Council (ARC) Training Centre for Advanced Manufacturing of Prefabricated Housing will advance and transform the building industry in Australia. Led by Professor Priyan Mendis and Associate Professor Tuan Ngo from the Department of Infrastructure Engineering, the Centre is funded for a total of $8 million by the Australian Research Council (ARC), universities and industry partners, over four years. It will directly engage students as well as academics and industry partners. Professor Mendis said the Centre aims to unlock the potential growth of Australia’s prefabricated building industry by creating a co-operative that is investing in new building technologies. He believes manufacturing industries are still a cornerstone of a vibrant economy. Associate Professor Ngo said an emerging highly trained workforce is driven by the needs of customers and industry. “This will help identify innovations in the use of advanced materials, design for manufacturing and assembly,” he said. “It will also provide solutions for affordable housing. University of Melbourne Acting Deputy Vice-Chancellor (Research) Julie Willis said the University is proud to lead the delivery of innovation and excellence through the ARC. “The Centre will secure the Australian industry’s competitive advantage leading to local employment growth and increased exports of prefabricated products and services,” Professor Willis said. 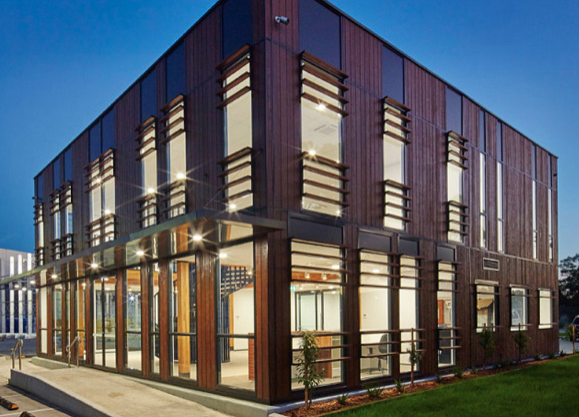 The ARC Training Centre for Advanced Manufacturing of Prefabricated Housing is a highly collaborative venture involving four Universities: the University of Melbourne, the University of Sydney, Curtin University and Monash University. Partner Organisations: Surrey Engineering (Amoveo) Prebuilt PrefabAus Habitech Envirosip Timber Building Systems ARC the Australian Reinforcing Company FWPA Tektum Richard Kirk Architect Modulum CIMC.